Susan Tooke: Susan is a versatile artist working in painting, illustration, and media arts. She considers painting her primary art form with exploration in other media further influencing and developing her artistic expression. 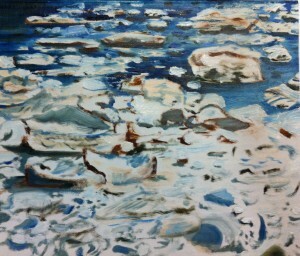 Her current focus is on woodlands and the disappearing wilderness spaces of the Canadian Landscape. Susan’s expressive style abstracts the complex environments of old growth forests in an intriguing conversation of colour and motion, revealing the ‘soul’ of the landscape. 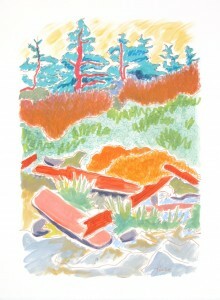 Her influences include Anne Meredith Barry, Emily Carr and David Milne. Ms. Tooke received her BFA from Virginia Commonwealth University in Richmond, Virginia, with post-graduate studies in Media from the New School for Social Research in New York. She received a media arts scholarship from the Centre for Art Tapes and is currently working with sound, video and sensors to create a work based on endangered spaces. Richard Rudnicki: Born in Saskatchewan, Richard was raised in the Ottawa Valley and now makes his home and studio in Halifax, Nova Scotia. Richard is an illustrator of picture books, author, and painter. His paintings are acrylic on canvas, or sometimes hotpress watercolour paper. When he’s not working on commissions, Richard prefers to paint plein air, mostly in Nova Scotia, but some other great places too. His wife Susan is also an artist and whenever possible they “take off painting together. 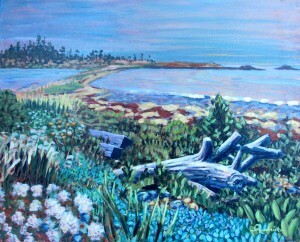 The plein air paintings are pretty special to me“. Not long ago, Richard and his wife, Susan Tooke, took eight other artists, writers and photographers to Sable Island for a week so they could paint there. The subjects which interest Richard the most are landscapes, contemporary genre, and historical. 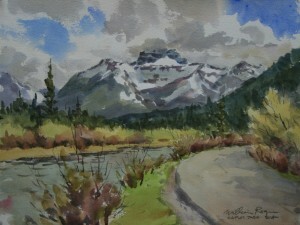 William (Bill) Rogers: Bill is an Elected Member of the Canadian Society of Painters in Watercolour (CSPWC) of which he is currently the President. He is also a signature member of the Transparent Watercolor Society of America (TWSA) and the Société Canadienne de l’Aquarelle (SCA).Recently, in May 2014, Bill served as the Royal Tour Artist for the 2014 Royal Tour of Canada by HRH Prince Charles and the Duchess of Cornwall. It was the experience of a lifetime. 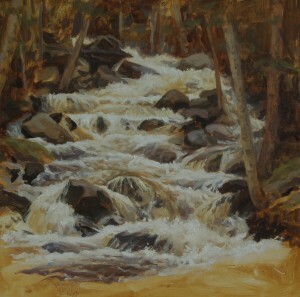 Most of his landscapes are done “Plein-air” and he also paints the model from life, usually twice a week. Bill has extensive teaching experience and teaches Art part time at StFX University as well as many workshops in Canada and abroad. Leonard Paul: Known internationally for his exquisitely detailed portrayals of nature and its creatures, Leonard Paul, a First Nation Mi’kmaq visual artist, was born in Halifax in 1953 and resides in Nova Scotia, Canada. Leonard attended Nova Scotia College of Art and Design to study for his Bachelor of Fine Arts in 1971 – 1974. He majored in painting and later graduated from Acadia University in 1991 with Bachelor of Arts in Art History. Leonard Paul recognised art creation as an influential role in therapy and received his Image Therapy Counselling Certificate from Acadia University and subsequently completed his Suicide Prevention Training in Calgary, Alberta. His formal training became useful when he worked with youth as an art instructor. Leonard considers he embodies the better elements of two worlds: Mi’kmaq ancestry and Euro-centric values in mainstream art. He loves to roam around the countryside and river banks with his family and two dogs, seeking inspiration for his artworks. Susan Paterson: Born in Halifax, Susan’s highly detailed studies of landscape, florals and everyday objects capture “the subtleties of the light, colour and textures that are so fascinating but so often overlooked“. When she is painting, Susan loves “getting lost in the details and the challenge of creating an illusion that explains how I feel about what I see“. She is “fascinated by light and how it describes form, changes colours, is reflected back and disappears into the dark depths of a background”. Susan takes great pleasure from slowing down, spending hours intently observing and trying to capture the incredible beauty that surrounds us. Susan received her BFA from Mount Allison University in Sackville, NB. She is a member of the Canadian Society of Painters in Watercolour and has been exhibiting work since 1983. Joy Laking: Joy loves to paint. 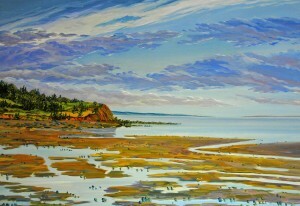 For forty-one years she has painted Nova Scotia and captured her view of the world on watercolour paper and in oil and acrylics. She is inspired by all of the beauty that is Nova Scotia. whenever possible Joy paints on location. 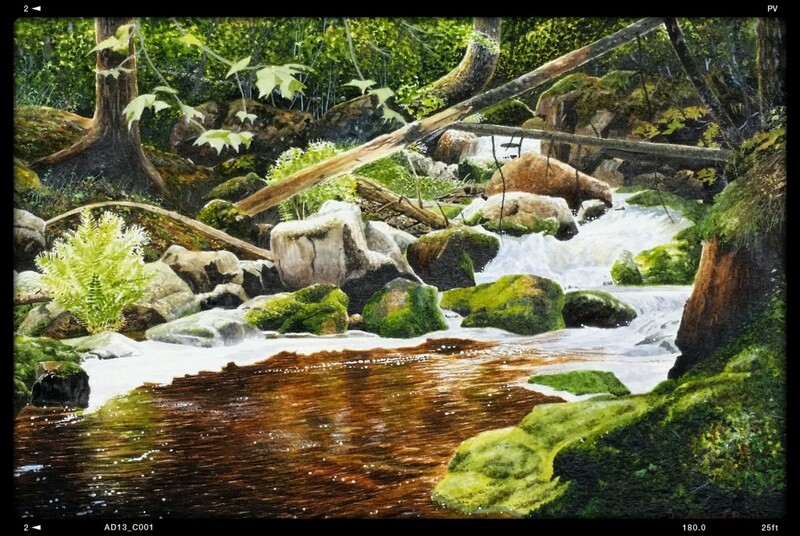 It is an exhilarating challenge to set out, find a subject and complete an entire painting in four to seven hours. These paintings are loose, spontaneous and depict the tides, the lighting and the moment. Besides painting on location throughout the Maritimes, Joy loves the landscape and history of England, Italy, Spain, France, Greece, Japan and all of South America. judithS bauer: judith is passionate and likes to take that passion out of doors. Painting, walking with dogs, composing poetry, and collecting wild mushrooms are among her favourite outdoor activities. If you see her walking the countryside with a basket, chances are it contains paint, mushrooms, or both. Judith has been performing and exhibiting work in Montreal since 2008. This will be her first time exhibiting in Nova Scotia. 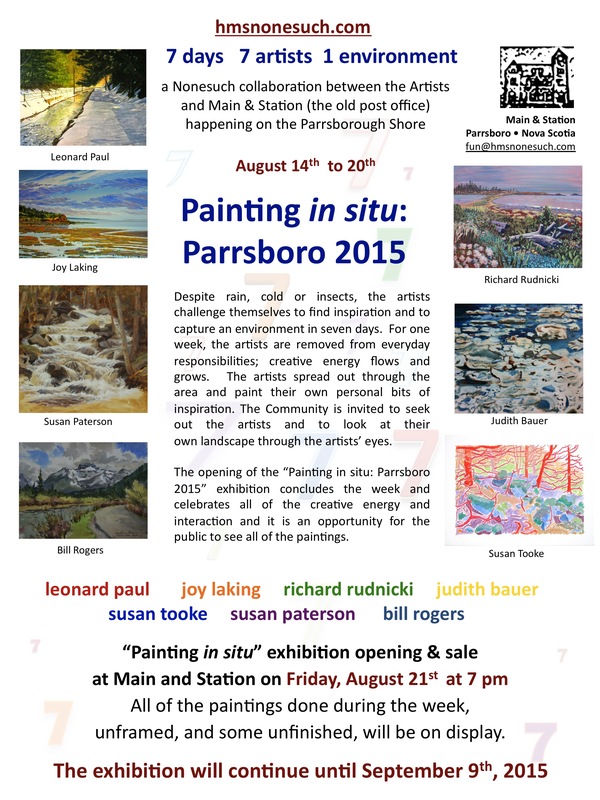 This entry was posted in Art, Community, Events, What the neighbourhood looks like and tagged bill rogers, EN PLEIN AIR, exhibition, joy laking, judithsbauer, leonard paul, Painting in situ: Parrsboro 2015, Parrsboro, richard rudnicki, susan paterson, susan tooke, vernissage by Admin. Bookmark the permalink.